New proposed state regulations by the California Fair Employment and Housing Council (FEHC) seek to limit consideration of criminal history in hiring and employment decisions and will impose new burdens on employers as well as expose employers to litigation. No Necessity to Adopt Different Burdens of Proof and Definitions for Employment Selection Discrimination Based Upon the Use of Criminal Background. There is no rationale for an employment selection policy that utilizes an applicant’s criminal background to require a different standard, burden of proof or analysis than any other employment selection policy such as a fitness for duty test or other examination. The Equal Employment Opportunity Commission guidance is just that, guidance. 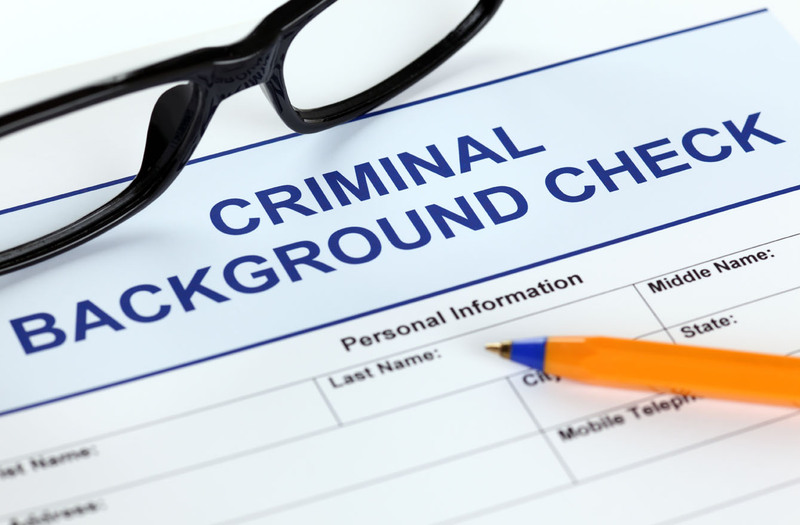 In addition, the court never sets forth any special or particular list of factors that an employer must consider when developing a policy regarding criminal convictions or a mandate to individually assess all applicants with a criminal background. The coalition respectfully requests the FEHC to withdraw the proposed regulations. No Authority for the FEHC to Adopt a Seven-Year Time Frame to Consider Criminal History and Create a Rebuttable Presumption of Discrimination Against Employers. The proposed regulations state that a bright-line disqualification policy or practice which does not include an individual assessment and includes conviction-related information that is more than seven years old creates a rebuttable presumption that the policy is not job-related or a business necessity. There is no authority to impose this proposed regulation against employers. No Authority to Require an Employer to Perform an Individualized Assessment of Each Applicant with a Criminal Background. First, there is no authority for this mandate. If the individual does not provide any information, the employer is not required to conduct its own individualized assessment. Comparatively, the proposed regulations require an employer to conduct an “individualized assessment” for each applicant excluded by a conviction screen. There is no authority for requiring an employer to conduct an individualized assessment, despite the lack of any information provided by the employee or applicant. Labor Code Does Not Prohibit All Employers from Considering Arrests or Detentions that Do Not Result in a Conviction in Employment Decisions. Labor Code Section 432.7 does not impose a blanket prohibition on all employers with regards to all arrests that do not result in a conviction, as suggested. This section actually provides several exceptions as to when arrests that do not result in a conviction may be inquired into. Proposed Regulations Create a Greater Risk of Employers Being Sued for Negligent Hiring. Imposing these additional burdens, specified definitions, and onerous standards on employers with employment selection policies that include criminal background checks will likely create a disincentive to inquire into such information during the hiring, selection, or promotion process in order to avoid a claim of discrimination under the Fair Employment and Housing Act. The proposed regulations are not surprising given the recent trend toward limiting when any criminal history information can be required. In 2012, the Equal Employment Opportunity Commission issued “Enforcement Guidance on the Consideration of Arrest and Conviction Records in Employment Decisions,” which discusses how an employer’s use of an individual’s criminal history in making employment decisions could violate prohibitions against employment discrimination. Under San Francisco’s Fair Chance Ordinance, covered employers are required to follow strict rules regarding the use of arrest and conviction records and related information. Employers can’t ask about criminal history on a job application or require job applicants to disclose criminal history information on the job application, including any type of check box indicating criminal convictions. Los Angeles also is proposing a “ban the box” ordinance. The FEHC released the proposed regulations in February. The latest comment period closed on April 7. Although the next FEHC hearing is set for June 27, the agenda for that meeting has not yet been released. It is possible that the commission may revise the proposed regulations again.